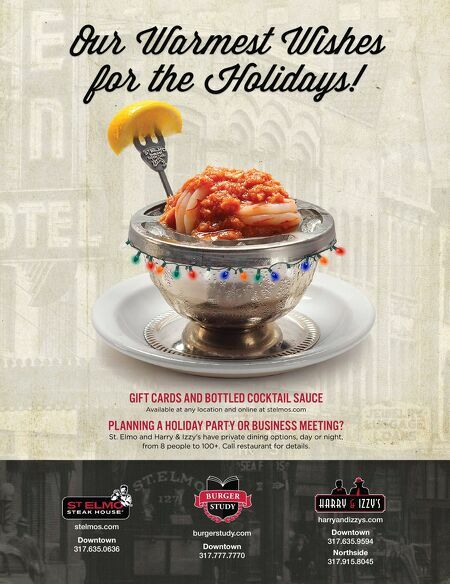 GIFT CARDS AND BOTTLED COCKTAIL SAUCE Available at any location and online at stelmos.com PLANNING A HOLIDAY PARTY OR BUSINESS MEETING? 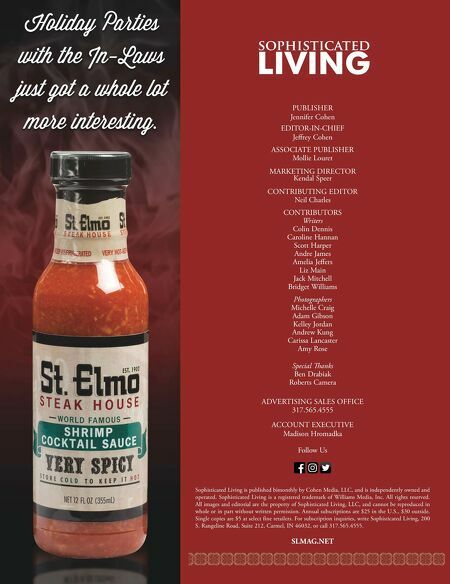 St. Elmo and Harry & Izzy's have private dining options, day or night, from 8 people to 100+. Call restaurant for details. Our Warmest shes for the Holidays!